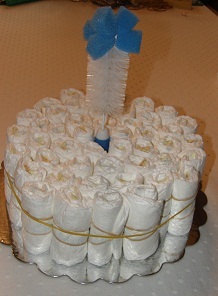 Candlestick diaper cakes are a very popular method to use to create your one of a kind gift. 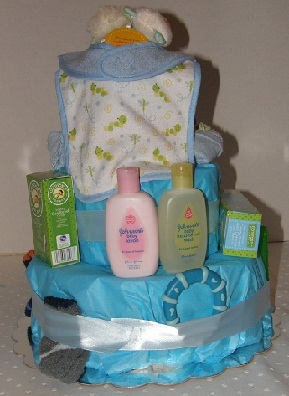 Here I'll walk you through my very own "Little Boy Blue" themed diaper cake that I "baked" recently for a baby shower. 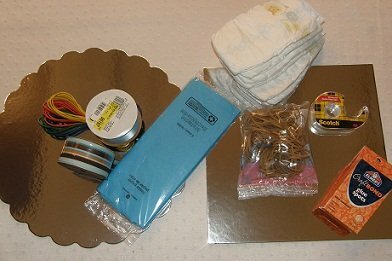 In general, once you have assembled your basic recipe ingredients, it will take you about 1- 11/2 hours to "bake" your candlestick diaper cake. 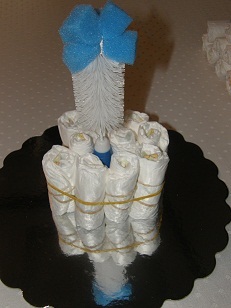 For my "Little Boy Blue" nursery rhyme theme, I chose to do a three layer candlestick diaper cake. 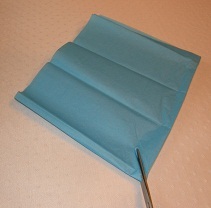 To begin, roll a diaper tightly, by starting at the open end and rolling inward to the folded end. Once rolled, secure the diaper with a rubber band. Repeat for all your diapers. Place the item you have chosen for your center core for the cake in the middle of your cake base. In the case of my Little Boy Blue cake, I used a blue bottle brush that came with it's own suction cup stand. Place a large rubber band around the center core item and begin to fill the layer in by placing rolls of diapers within the rubber band arund the core. 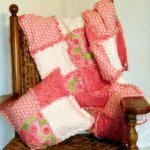 Continue building out the layer until you have covered the base as wide as you want your layer. 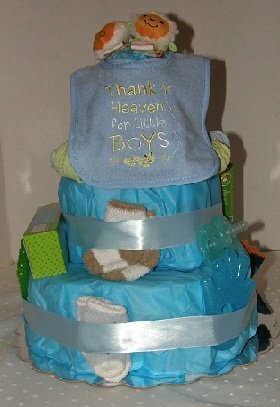 For my "Little Boy Blue" themed diaper cake, I wanted an "iced" look for a nice finished appearance. I did this by layering 2 pieces of blue tissue paper and folding in half and then half again. I cut a slit in the folded corner about 2'' long and then unfolded the sheets. I slipped the opening over the top of the bottle brush and down onto the first layer. I trimmed off the excess paper, then smoothed the paper over the diapers and tucked the ends underneath the layer. Now build the second layer on top of the first layer again by slipping a large rubber band over the core and filling in with the rolled diapers. This layer should be smaller than the base, how much smaller is up to you. Then build the third layer, smaller yet again, on top of the finished second layer. I also used the blue tissue paper to "ice" the second and third layers of my diaper cake. Now comes the real fun! This is where your creative juices can really get to flowing as you decorate your cake. If you didn't "ice" your cake, you will definitely want to use a wide ribbon around each layer to cover the rubber bands. 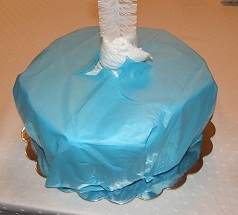 In this cake, even though it was "iced", I still chose to wrap a blue ribbon around each layer. Ribbons work great to attach your decorative items to the cake. Use the double back tape or glue dots to secure your ribbons and decorative items in place. I added all the items I had selected by tucking into the ribbons, taping to the spaces left along the edge of the layers and on the top of the cake.